" These guys were excellent on our wedding day. 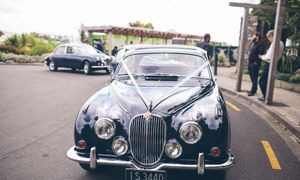 We hired two Jaguars from them and they were much better value for money than other vendors I enquired with, whilst still looking sensationally elegant. Our drivers were patient and very helpful, and not afraid to go the extra mile. When I had to get in and out of the cars it was raining, and they were there with plenty of umbrellas making sure I didn't get wet. They also made sure we were on time everywhere and didn't waste any time looking for parks or traversing road works! I would definitely recommend them to anybody getting married in Wellington." "We really cannot thank you enough for the service you provided us. 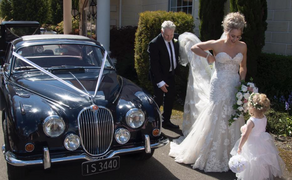 The cars were beautifully presented, and combined with knowledge of our venue and the Wellington Roads you were the absolute finishing touch to our beautiful day. You took the stress out of travelling between destinations, ensuring we arrived on time and in sophisticated style. "Exceptional service was provided by Duncan at Aristocrat Auto Hire. The car was beautiful, Duncan arrived before the pick up time specified and knew the best route to our destination. 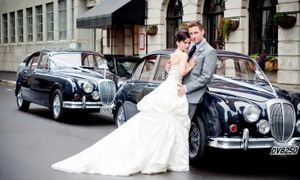 I would absolutely recommend Aristocrat Auto Hire to any bride wanting gorgeous vintage cars for their wedding. 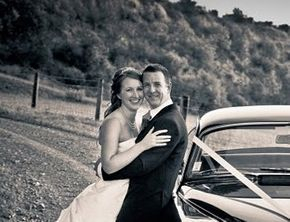 "Duncan from Aristocrat Cars provided a wonderful car and service for our wedding day. The car was immaculate and looked sparklingly new. Duncan was excellent to deal with and provided efficient answers to our questions leading up to the Wedding. We highly recommend this company for your wedding day." 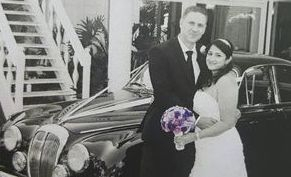 "Thank you for the wonderful car that was provided for our wedding day. "Thank you for helping to capture the best day of our lives in such a unique and gorgeous way. The cars were gorgeous, and your staff were very professional. You made every moment enjoyable. Once again thank you very much, every bride deserves your cars at their Wedding. Wishing you all the best for the future." Are you a satisfied customer of Aristocrat Auto Hire? If so, we would love to hear from you! Please submit your testimonials here.